Book Review: 'Life After Life' By Kate Atkinson | In real life, people have to make choices. But the fictional Ursula Todd gets to live out several realities, all set in 20th century Europe. Reviewer Meg Wolitzer says Kate Atkinson's playfully experimental novel ends up capturing what life is really like. Flannery O'Connor said short stories need to have a beginning, a middle and an end, though not necessarily in that order. But what about novels? Kate Atkinson seems to believe there can be a beginning, a middle and an end, and then another beginning, plus several more middles ... and why not have a beginning again? 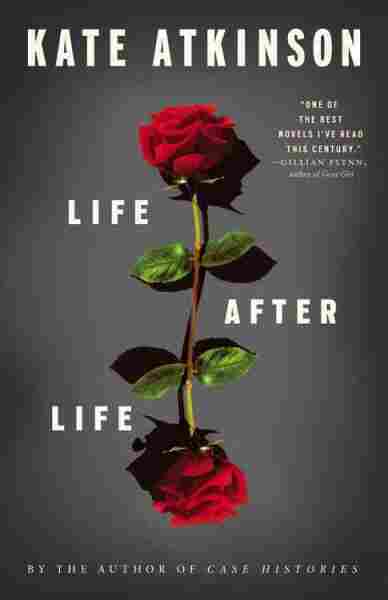 What she's done in her masterful new book, Life After Life, is prove that what makes a long piece of fiction succeed might have very little to do with the progression of its story, and more to do with something hard to define and even harder to produce: a fully-realized world. Atkinson not only invites readers in but also asks them to give up their preconceptions of what a novel should be, and instead accept what a novel can be. When I started Life After Life, I have to admit, I wasn't sure I wanted to keep going. I was disoriented, and I thought maybe the problem was me — maybe I was just dumb. In the opening pages, in a German cafe in November 1930, a woman raises a gun and shoots Adolf Hitler. Gamely anticipating the consequences of that action — even if they held the possibility of Twilight Zone cheesiness — I turned the page, only to find that there were no consequences, at least not yet, for the clock had turned back 20 years and the action had moved to another locale. Now it's England in February 1910, and a baby is about to be born, but the doctor hasn't arrived yet: " 'Dr. 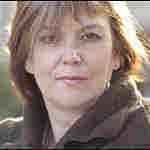 Fellowes should have been here,' Sylvie moaned. 'Why isn't he here yet? Where is he?' ... 'Yer man'll be stuck in the snow, I expect, ma'm,' " says Bridget, the maid. And then, moments later: " 'Oh, ma'am,' Bridget cried suddenly, 'she's all blue, so she is.' "
The death of a baby, of course, is an unbearably sad thing, and surely the fallout of that death will come in the next chapter. The grieving parents, the lost possibilities. But no. Because, in the next chapter, the road is open, and Sylvie, who has just given birth, asks, "A girl, Dr. Fellowes? May I see her?" To which he replies, " 'Yes, Mrs. Todd, a bonny, bouncing baby girl.' Sylvie thought Dr. Fellowes might be over-egging the pudding with his alliteration. He was not one for bonhomie at the best of times." But the exaggerated buoyancy of the doctor is meant to contrast with the gloom of the previous version of the delivery. This is arch but serious stuff, and for a while there, it's hard to know how Atkinson wants her readers to feel about it. But I kept on reading because I suspected, this being Kate Atkinson, that it would transform itself, and it certainly did. Ursula Todd — who happens to be the woman in the cafe, as well as the baby turning blue, and the baby not turning blue — is the novel's main character. In a sense she's meant to be you — just another soul who has the misfortune of being born, living and getting caught in the dangerous machinery of history. And the dangers abound. Ursula is raped and impregnated — unless, wait, she isn't raped and impregnated at all. For in another version she manages to rebuff her would-be attacker, and in yet another version, the moment between her and this same man turns out to be merely lightly amorous. At one point, Atkinson places Ursula in prewar Germany, where she befriends a young Eva Braun; and then, during the war, she's seen working in London on a rescue unit, grimly coping with its everyday shocks and horrors. In an alternate reality, Ursula works in wartime intelligence. What impresses me about this flip book of nonstop scenarios — in wartime and peacetime — is not only how absorbing they are, but how brave Atkinson is to have written them. After all, there really isn't much recent precedent for a major, serious yet playfully experimental novel with a female character at its center. Good for her to have given us one; we needed it. Life after life grind on for Ursula and all the members of her family, who, though their outcomes change, remain roughly the same people throughout the book. Maurice, the horrible brother no one can stand, is horrible in every version of this story. And Ursula, while not a world-beater except perhaps in her big Hitler moment, is always human and readable. In real life, people inevitably have to make choices about how to live. (You can't live all ways.) But Kate Atkinson didn't choose one path for Ursula Todd, and she didn't need to. Instead, she opened her novel outward, letting it breathe unrestricted, all the while creating a strong, inviting draft of something that feels remarkably like life. Meg Wolitzer is the author of The Interestings, which comes out in April.